The debate over whether big cats, such as panthers or pumas, are roaming the Australian bush has gone on for decades but as far as Michael Williams is concerned, there's no room for argument. 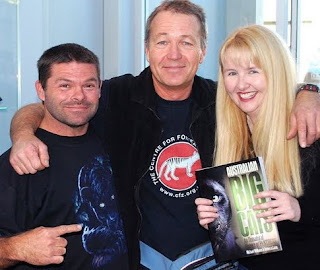 Michael is convinced Australia is home to big cats and, along with partner Rebecca Lang, has written a book to prove it. The book is called "Australian Big Cats - An Unnatural History of Panthers". He spoke to Matt Dowling about researching the book and what inspired his fascination for big cats. NZ feather fetches more than $8000! A lion in the Outback? Weird Weekend 2010 - Be There or Be Square!